Find us on the opposite site of the same plaza at the corner of 434, Montgomery/Wekiva Springs Rd in Longwood! We are now on the same side as Graffiti Junction, Mulligan's, and Regions Bank. This is the same plaza that holds Publix, Starbucks, and First Watch. 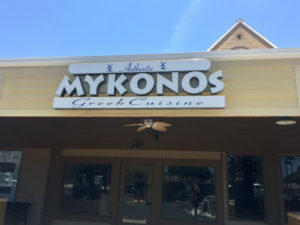 Learn about our history and why our customers say we're the BEST Greek Restaurant in Central Florida.